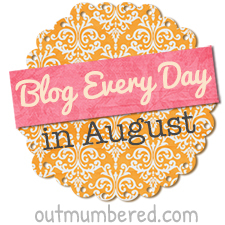 Today’s BEDAOutmumbered prompt invites us to share a special memory. Some of my most beautiful memories come from my wedding day which was a truly magical day. Naturally most of these memories are of myself and hubby sharing some very special moments. The ones I’d like to share today though are those with my dad. My dad and I were very close. I was always described as being a “daddy’s girl” when I was a child. It was generally my dad I ran to if both parents were about and I fell over or needed comforting about something. During my time at university, Dad was diagnosed with Parkinson’s disease. By the time of my wedding in 2009, he was also suffering from dementia. He was wheelchair bound, partly due to the Parkinson’s but also because he’d had a leg amputated some years before I was born as a result of a wound received during his time in the navy. 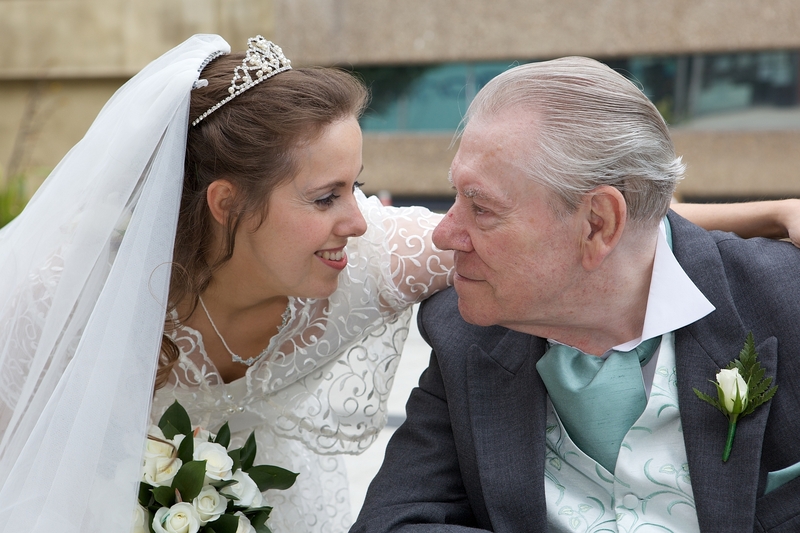 I had hoped that my dad would be able to walk me down the aisle on my wedding day. As the day drew nearer, it became clear that he would not be able to do this. My brother stepped in instead. It was Dad though who travelled with me in the car from my flat. The journey to the church was a bit of a blur. I remember Dad squeezing my hand the whole way and telling me that I looked beautiful and that he loved me. Mum and my brother were waiting for us at the door of the church. 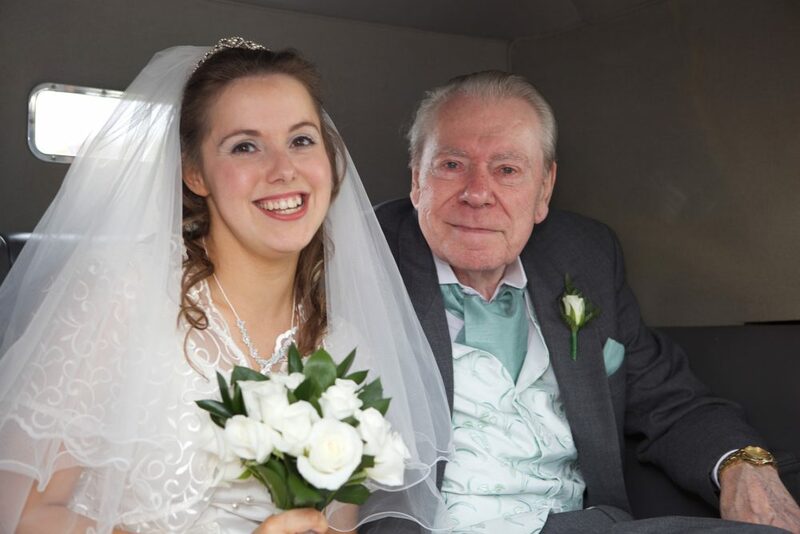 Mum wheeled Dad to the front, turning him around to face me as my brother walked me down the aisle. My dad’s face and Michael’s face were the only two faces that really stood out as I made my way to the front of the church. Two faces that were both full of pride and love. The two men I loved most. We had a video made of our wedding day, something Michael had been insistent on. I’m so glad now that we did because Dad died five months later. Whenever I really miss him, I can put the DVD on again and hear his voice telling me how much he loves me. Love you too, Dad and miss you always. Such a lovely story to share! I’m sure that DVD of your father is a priceless treasure. I lost my dad several years ago to cancer and I know what a terrible loss it is. Thanks for sharing! Tearing up reading that myself! Such a great thing to have recorded. The bond you share is evident in those photographs. Lovely memory to share. 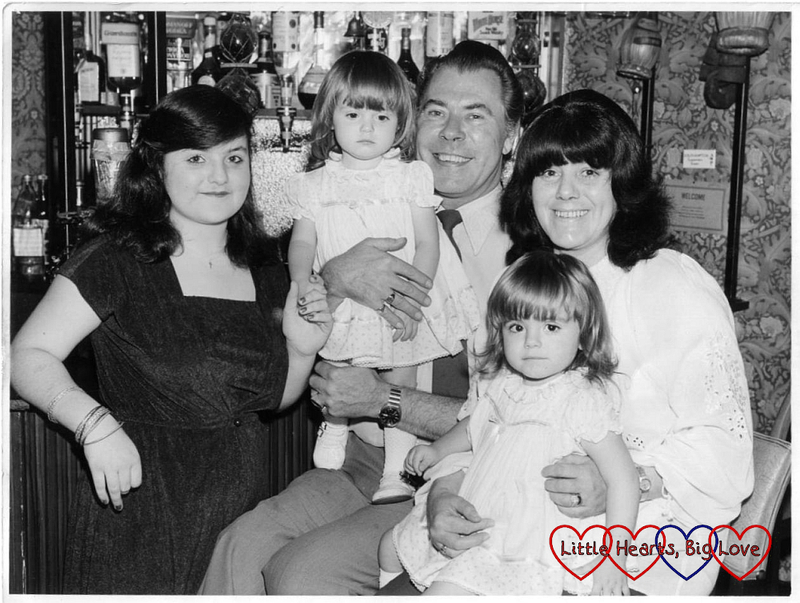 Thank you – have lots of lovely memories of my dad, he was a very special man. The love between you and your father shines through the photographs. Thank you – and thank you for taking the time to leave a comment. I have lots of lovely memories of my dad and although I miss him every day, I feel very blessed that I had him in my life for 30 wonderful years. 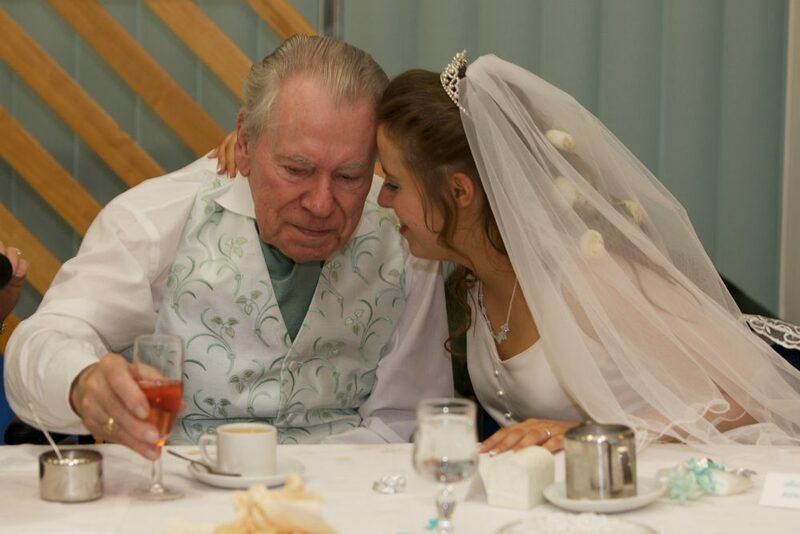 Oh this has made me weepy – what a beautiful post and what stunning emotional photos. Your dad looks so proud of you. It always makes me sad that my dad won’t ever be able to walk me down the aisle. My sister has recently had her wedding video put onto cd and I really want to watch it but know it’s going to make me sad seeing and hearing my dad. I must watch it though because I know it’ll be lovely to see him again.